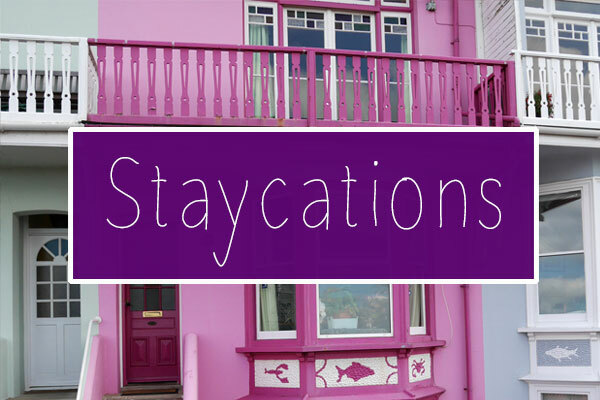 When it comes to city breaks, Stuart and I are strict budgeters. We never go to expensive restaurants, we travel cheaply on public transport and we look for discounts if we're going to tourist attractions. If we can get breakfast included with our hotel, we will, as it means that there's one less meal to pay for when we're away. 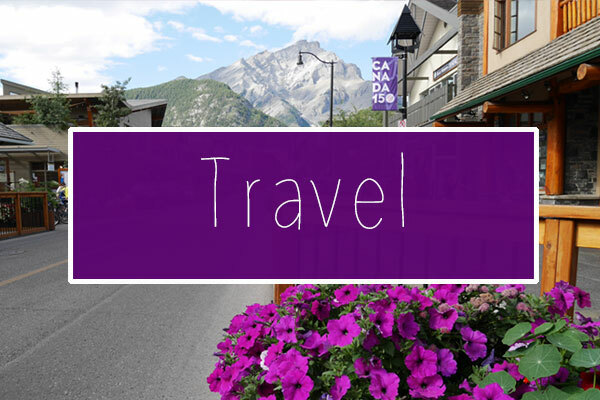 We love to travel and it's this budgeting that allows us to go away multiple times a year. 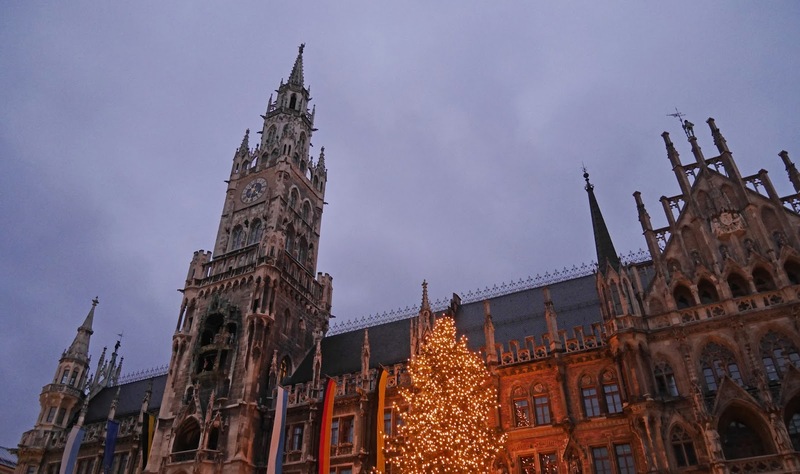 When we went to Munich for the Christmas Markets, we weren't sure how much money we'd spend, as it wasn't a typical city break trip for us. We planned to eat street food at the markets instead of go to sit down restaurants, we expected that if we were going to pick up any souvenirs, they'd be bought from market stalls instead of affordable souvenir shops and we also figured that we might need to use the Metro more times than usual, as we’d be travelling back to the hotel from the city centre at night when it’s really cold. 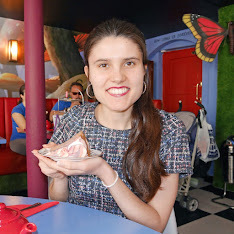 Now we’ve actually been to the Munich Christmas Markets, we have a much better idea of how much everything costs at the markets, so in today’s post I’m going to be talking about how much money you need for food, drink, souvenirs and transport on a European Christmas Market trip. I haven’t included breakfast costs within these estimations though, purely because most people choose to book breakfast with their hotel. 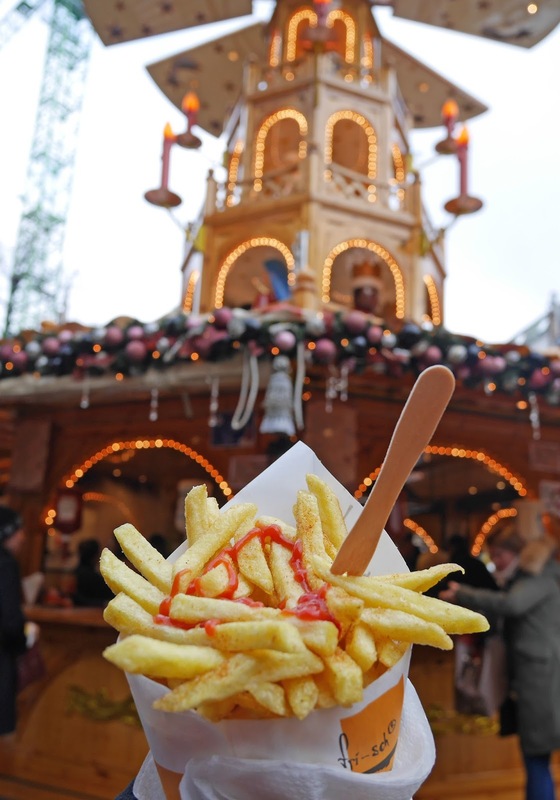 At the Christmas Markets, everybody eats “snack” savoury food, such as burgers, bratwurst (German sausage) and chips. You can expect to pay €3 - 6 for any of these food items, which is relatively affordable in comparison to how much you’d pay for meals in a restaurant. There are lots of desserts and sweet treats on offer at the markets. Most stalls sell crepes, apple strudel and traditional German heart-shaped gingerbread cookies and these cost around €3-5. If you don’t fancy bratwurst for dinner, you could always order a nutella crepe instead, or alternatively make the most of the Christmas Markets experience and order both! 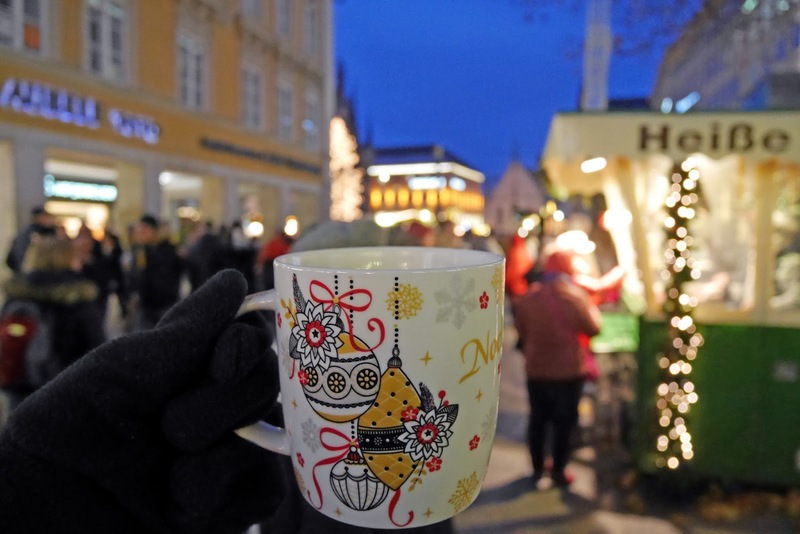 Glühwein (mulled wine), hot chocolate and classic German beer are popular drinks at the Christmas Markets. Hot chocolate costs around €3-4 (plus a €3 refundable deposit as they are given to you in Christmas mugs). A litre of German beer costs €4, which we thought was very good value. Drinking mulled wine or hot chocolate are must-dos when you’re standing outside at the markets in the cold, so make sure you budget for some fancier drinks whilst you’re away! Buying gifts at the markets is not very expensive. Most gifts are €3 - 15, which is relatively affordable considering that the items are often bespoke or handmade. If you want to buy Christmas presents at the markets, make sure you budget much more than my suggestion though! 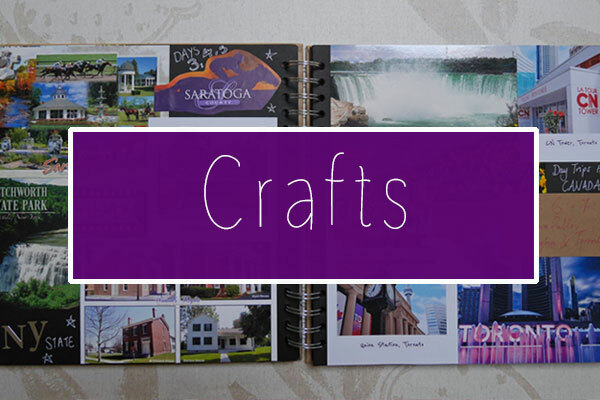 There are lots of beautiful items that would make fabulous presents. Late in the evening when it’s very cold and it’s time for you to go home, you might not fancy walking back to your hotel, so it’s worth putting some money aside for the Metro, trams or buses. A single Metro journey in Munich costs €2.40, which is about the same price as a single journey with contactless card on the London Underground. On the Saturday night whilst we were away, we were grateful that we could take the Metro back to the hotel after a busy day exploring. 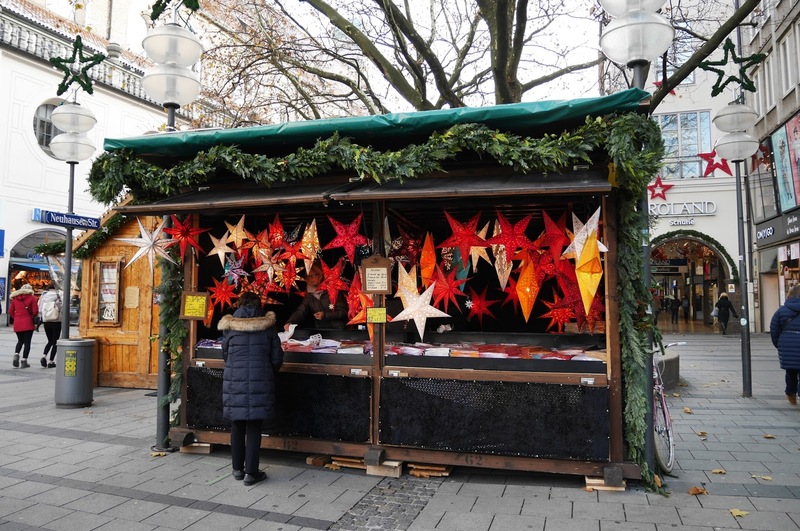 If you plan carefully, Christmas market trips can be very affordable. Street food at the markets is much cheaper than meals at restaurants and gifts aren't very expensive either, so a festive weekend away isn't going to break the bank. If you're looking at visiting a Christmas Market this year or next year, hopefully this post has given you an idea of how expensive the markets are. I love Christmas Markets, though I've not yet been to the one in Munich - thanks for the tips!